American residents were forced to swear an oath of loyalty to the British crown in order to retain their land. Pierre Durant is a voyageura fur trader who left his family home to find freedom and adventure. Hes been gone five years and when he returns, his familys farm is at the mercy of the British invaders. Torn between the life hes grown used to and guilt over leaving his brother and mother, hes drawn back into the loyalist fight against the Britishand into a relationship with Angelique Labelle, a beautiful local girl whos been befriended by the daughter of the British commander. As tensions mount and the threat of violence increases, both Angelique and Pierre must decide where their loyalties rest, how far they will go to find freedom, and how much they will risk to find love. 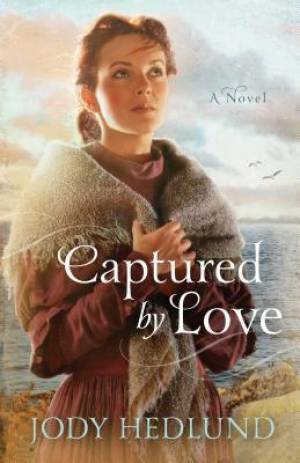 Captured by Love : Michigan Brides Collection, Book 3 by Jody Hedlund was published by Baker in August 2014 and is our 51530th best seller. The ISBN for Captured by Love : Michigan Brides Collection, Book 3 is 9780764210495. Be the first to review Captured by Love : Michigan Brides Collection, Book 3! Got a question? No problem! Just click here to ask us about Captured by Love : Michigan Brides Collection, Book 3.